Yoga, the ancient practice of physical, mental, and spiritual well-being is slowly taking over the world for good. A lot of yoga enthusiasts around the world seek to learn this art. It could be for their own health benefits, to destress or to learn yoga to make a career out of it. Whatever be the reason, what better place than India to learn yoga? Since India is the cradle of yoga, it makes so much sense to learn yoga in India, and also travel! Evidently, India is dotted with ashrams, institutes, yoga retreats, and studios where yoga is taught with utmost discipline. Read further as we explain the concept of yoga in India and why India is the best place to learn. For the simple reason that yoga was born and took shape over thousands of years in the Indian subcontinent. Historical evidence suggests that it developed around the sixth and fifth centuries BCE. Yoga in India has been an intrinsic part of our culture for thousands of years. It has been taught and this knowledge has perpetuated with evolution in time. Thanks to the commitment and passion of these masters that India boasts of having not only safeguarded yoga as a treasure but sharing its strengths with everybody to benefit from it. When is yoga day celebrated in India? The International Yoga Day, in short, Yoga Day is celebrated in India and across the world on 21st June of every year. 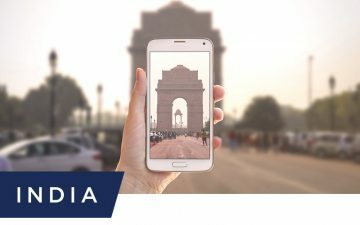 Where to learn yoga in India? India is blessed with yoga training schools all across the country. Interested candidates can learn yoga anywhere and anytime based on their preferences. A lot of people combine a vacation and dedicate time to learn yoga between their travels. More committed souls who form a strong wave of tourists flock India every year boosting the concept of yoga tourism in India. They are the ones who exclusively want to learn yoga at an ashram or a yoga retreat for a long time to perfect themselves in this discipline. India gives you the liberty to choose from any of its wonderful locations to learn yoga. You can learn yoga in utmost tranquility in the laps of the Himalayas at Dharamsala. Do a Surya Namaskar beside the gently flowing river Ganga at Rishikesh. 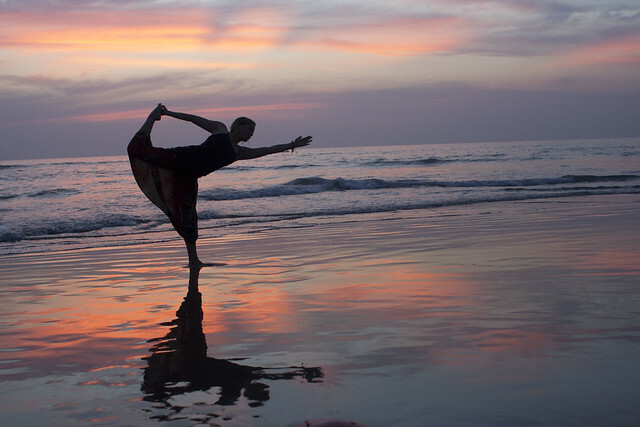 Have fun doing asanas with a sunset in the background on a beach at Goa. Practice yoga in the heritage city of Mysore or metropolitan Pune. Many institutes cater to varying needs of yoga enthusiasts. You can be a beginner, a regular practitioner or looking to earn a yoga teaching certificate, India has it all. When it comes to yoga, all roads lead to Rishikesh. It is Popularly known as the ‘Yoga Capital of the World’. 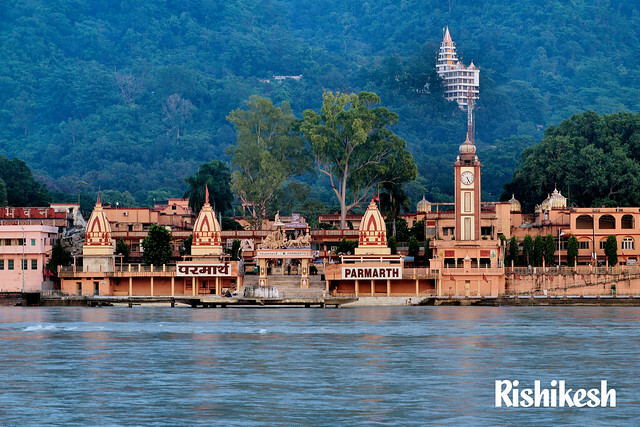 Rishikesh gives you not only lessons in yoga but a heart-touching experience in spirituality. The soul of this temple city is the holy river of Ganga. Practitioners can begin their day by learning new asanas by the side of the river and end their day by meditating on a hilltop amidst verdant mountains. Rishikesh has the largest cluster of yoga centers in the world! This could the best place to start practicing yoga in India as you are spoilt for choice here. It is the venue for world famous and the annual International Yoga Festival every year. Find out more info on their website to take part in this life-changing event. 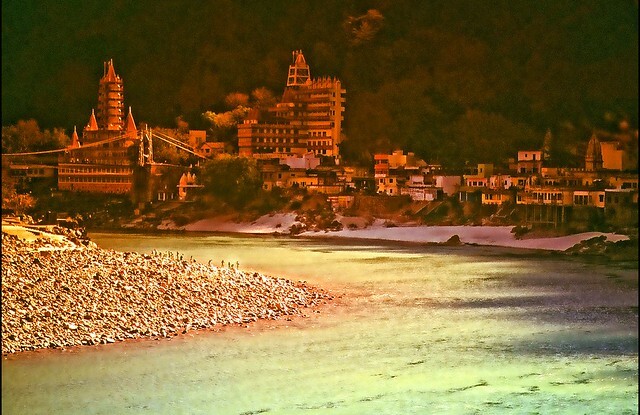 Rishikesh which was bustling with activity in its own sweet bubble shot to fame when the Beatles arrived in 1968. The holy city proudly embraced the Beatles as its own. They took part in an advanced Transcendental Meditation training course at the ashram of Maharishi Mahesh Yogi. This story of the Beatles visiting Rishikesh catapulted the city to international fame. Following this, there has been a steady stream of enthusiasts knocking on the doors of Rishikesh to learn yoga. And Rishikesh continues to be the best place to learn with every passing decade. It is not just yoga that makes Rishikesh such a famous travel destination, but other things too that makes this city what it is. The banks of the river Ganga have innumerable temples on either side. Rishikesh is part of the most venerated pilgrimage trail for Hindus. Pilgrims offer their prayers in Haridwar, followed by Rishikesh and after their tryst with the gods here, go further ahead to Badrinath, and Kedarnath. The enchanting aarti on the banks of the river every day at dusk to the chanting of Sanskrit shlokas gathers hundreds of people every day from far and wide. The beating of the drums and clanging of bells will surely leave you mesmerized. 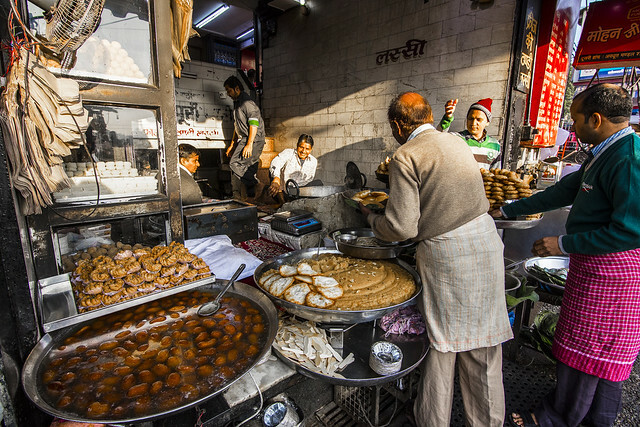 The exciting street food scene, appreciation for vegan food, adventure activities, or just the charm of the place will keep you active throughout your stay here. 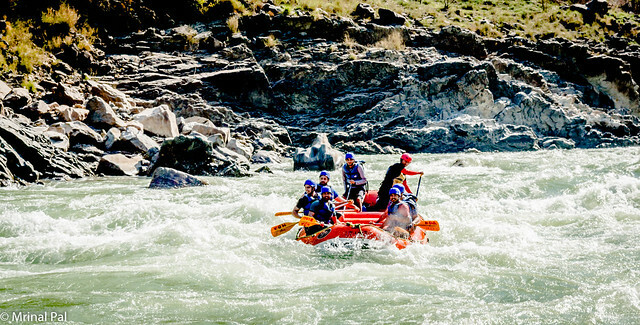 Rishikesh as an adventure hotspot for river rafting, zip lining, trekking, kayaking, and hiking, Rishikesh has been a favorite destination for travelers of all age groups. You can easily combine your yoga retreat by indulging in any of these fun activities. Unfortunately, the famed river rafting activity has been banned owing to environmental degradation until further notice. We can only hope that the ban gets lifted as soon as possible so that everyone can experience the thrill of those rapids in a seemingly gentle river. 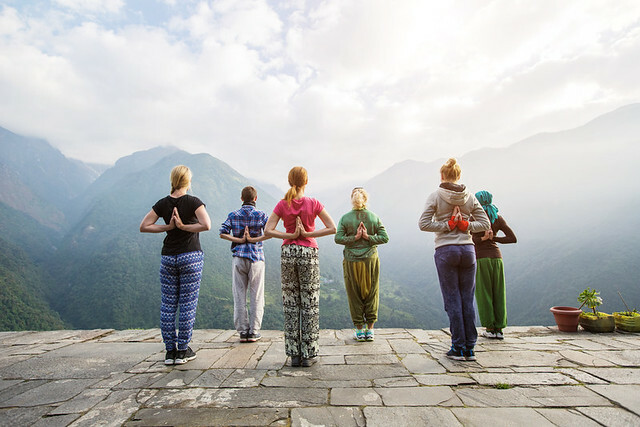 Why do foreigners choose Rishikesh to learn yoga? Most foreigners favor Rishikesh over any other destination to start off their quest for knowledge in yoga. As mentioned above, it is a combination of the love for yoga and also, the spirituality that fills the air here. Though there are amazing schools in Haridwar, Pune, Mysore, Goa, and many other places, it is Rishikesh which offers an unmatched experience. For a detailed list of places, check out this blog from Talk Travel App. It is safe for solo travelers and especially women. Since, it receives a lot of international tourists, teaming up with someone with your tastes and likes is easier. You can go on adventure activities and a lot of cafes in Rishikesh offer good quality vegan food. 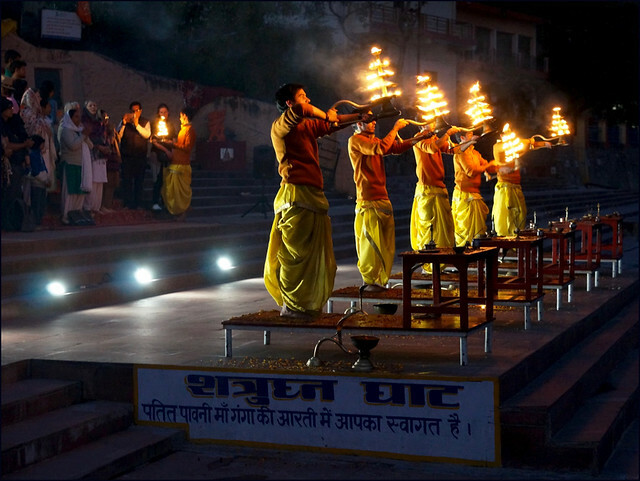 Visiting temples and witnessing the Ganga aarti every evening will leave you with indelible memories. What better place to have an authentic Indian experience than in Rishikesh? Why just learn yoga to practice when you can teach? Learn yoga in India, perfect your skills in the presence of experts with yoga teacher training programs that are available across the country. The carefully set curriculum trains interested participants in Hatha Yoga and Ashtanga Yoga. You will have support and guidance from your teachers so that you can imbibe all that you need to be a great trainer in the future. There are a lot of collateral benefits when you learn yoga. Not only learning yoga is beneficial to your health, but you can also combine teaching yoga and travel as a career option. There are many instances of trained yoga experts teaching guests at luxury yoga retreats. It could be in the midst of rice fields in Bali, or in the open grasslands of the Serengeti in Africa. Many studios in cities in North America, Europe, Australia, and more invite international trainers on a regular but contract basis. Just like digital nomads who travel and work, you can be a ‘Yoga Nomad’! You can earn a yoga teacher training certificate at any of the schools and add credibility to your new found knowledge. Learn from the best of the teachers in yoga on the planet and impart this valuable knowledge to others. Not only yoga but these centers also train people to concentrate their thoughts by helping them focus their minds through meditation. If you are wondering what to wear when you do yoga in India, all you need to do is check with the place where you are enrolled to study. A lot of schools recommend what is the best dress to wear. Modern yoga studios and ashrams catering to foreign tourists might give the liberty to wear nylon based yoga pants for easy flexibility. On the other hand, there are schools which are strict and stick to cotton wear which are loose and very comfortable on the skin. It is easy to twist and turn your body to the instructions of your master when you learn yoga. We all know of the long-term benefits of learning yoga. There are plenty of content online which elaborate and stress the importance of inculcating yoga as a form of exercise. Make yoga a part of your quotidian life by signing up to learn yoga in India. Also, travel across the length and breadth of this fascinating country when you are at it.